Wine, beaches and boating: a relaxing trifecta! In North America we have an odd fascination with the extremes. The biggest nickel (Sudbury, ON), the biggest toonie (Campbellford, ON), the highest mountain on the continent (Denali in Alaska), the tallest freestanding structure (CN Tower in Toronto), and so on. Sometimes they are interesting and sometimes silly (like the massive mosquito statue in Komarno, MB), but in Canada when something is the furthest south, that’s something that everyone in the Great White North appreciates. 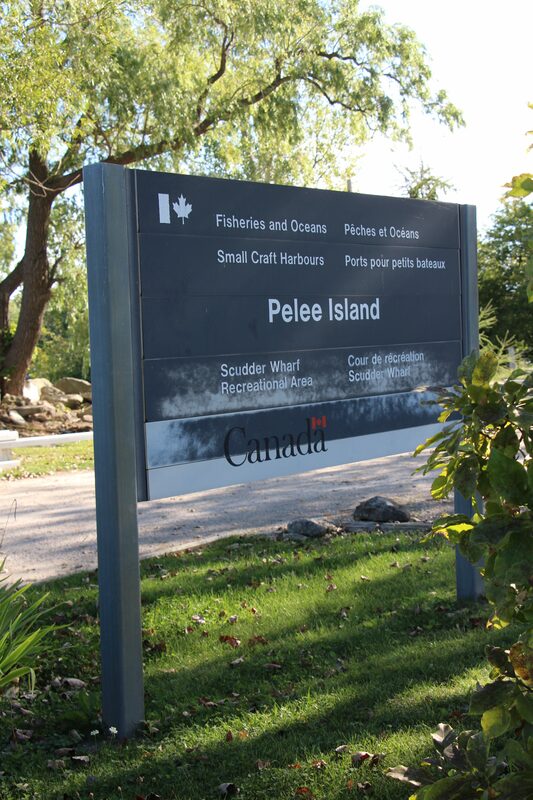 Pelee Island proudly wears the crown of Canada’s southernmost community. Some people, inaccurately, call it Canada’s southernmost point but that distinction goes to the uninhabited—unless you are a bird or snake—Middle Island. Given that it’s listed as a Zone 1 Special Preservation Area, that’s out in terms of human populated communities so we’re bumped north about five kilometres to Pelee Island. There used to be a marina on the south shore, Dicks Marina, but that’s long gone and all that remains of it in the little cove are the steel supports for the slips and rickety sections of dock here and there. There’s a mud-ramp that smaller fishing boats use as a launch but your better bet is to head to the north end of the island and the well maintained Scudder Marina. It’s where we based our last two PWC adventures and has a good ramp and recently upgraded docks. It’s not massive but there are dozens of slips and it’s popular with transients both from Canada—Leamington is about 25 kilometres north—and the United States—Put-In-Bay, Ohio is about 25 kilometres southwest. You can camp, rent a beachfront cottage or stay at one of the B&Bs or Inns if you don’t have sleeping quarters on your boat. That means any size boat can work for a Pelee adventure. And if making a 25 km crossing across the oft-temperamental Lake Erie is a little daunting for you, your vessel or your crew, you can trailer it over on the MV Jiimaan that can hold more than two-dozen vehicles, including large trucks. Your boat trailer is nothing new. Upon arrival, you’re in for a treat. It’s a very unique island, with tourism being big business, everyone welcomes you with open arms. I went to the University of Windsor and worked for years in and around Essex County and yet only ventured to Pelee Island once in the decade I lived there. After two visits in two years I’m kicking myself for the missed opportunities. Granted, things grind to a virtual halt in the winter when tourism drops off and the ferries stop running, so summer visits are really the only options. There is air service to the island in winter months, but it goes from thousands of people and vibrant shops and restaurants to a few hundred locals, if that. From what I was told, it’s a very quiet and isolated few months, but in Canada winter and boating don’t often mix so no worries for you or I! In the summer, Pelee more than makes up for its lack of winter charm. The beauty of an island stuck out in the middle of a lake is that you are always guaranteed at least some calm waters. Pelee is shaped like a square. There is a definite east and west shoreline and the north and south, though not as straight with slight bays curved into them, serve the purpose as well. That is, unless you’re booting along the western shore of Pelee Island! Two years ago I was shooting a piece for PowerBoat Television. When we left the Inn we were staying at and took the short stroll to the nearest beach on the east shore the waves were pounding the island as if the lake was trying to collect on a debt. We took our PWCs from Scudder around the northwest tip of the island and then up and down the entire stretch of the westerly side that day and had near-flat conditions for much of it. Good ol’ Pelee was standing fast, running solid defense against the wind. 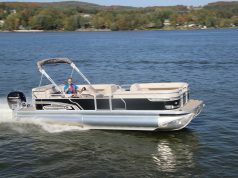 Close to the island, it’s obviously shallow, but it quickly drops off to a depth of 25-feet all around, so you have lots of water without having to run far off shore. Obviously check the charts to confirm your exact route, but there’s plenty of room to play and fish. The second time I was there it was a northwesterly wind and the playground of smooth water I enjoyed the year before was now a white cap convention that kept me away from the western side entirely. I felt bad for the captain of the MV Jiimaan who had to dock in those conditions, as the ferry dock is midway down that shore. But thrusters and years of experience, not to mention a giant ship, can handle most weather. Not all, mind you. There are times when crossings will be cancelled due to weather. If it’s that bad, you likely don’t want to be out on an island anyways! Assuming the weather cooperates, you’ve got some interesting options of activities. Relaxing on one of the many beaches is always a classic choice, but bike tours and riding along the roads and trails is very popular. You can either bring your own or rent one on the island—be it classic bicycle, a tandem, a trike or an electric one. Riding south along McCormick Road, which turns into Stewart Road, takes you right through the park, which is home to some unique and rare wildlife including the prickly pear cactus, the Lake Erie water snake and the giant swallowtail butterfly. It’s on the southwest tip of the island and there is an actual point for boaters to be wary of that juts well out into the lake, southward. Here the mixing direction of waves can do some funky stuff, so steer clear if circumnavigating. Something I would classify as a must-do is Pelee Island Winery. The current business has been around for about forty years but grape cultivation and wine production on and around the island dates back a century and a half. At the 1871 Paris World Fair wine from Pelee Island stunned the wine world winning a bronze medal. It was the first medal for North American wine in a European blind tasting competition. Ever. The people here take that history very seriously and while the visitor centre and pavilion on the island is tourism-focused with restaurant and museum and tours, they’re still trying to make great wine. In fact, Pelee Island is considered to be it’s own wine region, as opposed to larger Niagara Region or Prince Edward County, even though it’s only 42 square kilometres. All that, points again to the word that may be used here more than anywhere else in the English speaking world: southernmost. Seriously, it’s on everything. Southernmost Inn. Southernmost Pizza. Southernmost Community. But it’s no mere marketing tagline. It’s a surprisingly southernmost fact. It’s not just relative to Canada, globally it really is down there, sitting on almost the exact same latitude as Rome, believe it or not! The Italian capital sits at 41.9 degrees north and Pelee is at 41.8 degrees north. And if that stat doesn’t boggle the mind of winter-weary Canucks, check this out: there are 24 States that sit entirely or partially north of Pelee Island. Look at a map. It’s amazing, yet true. Yes, you are south. Yes, those southernmost adjectives are fitting. And if you’re this far south, boating naturally comes to mind. For many that also means fishing. A popular spot is the relatively sheltered southern bay where Dicks Marina used to sit. The times I’ve been there are always some aluminum fishing boats on the hunt for the walleye, bass and perch you can catch in these waters. I highly recommend taking PWCs over on the ferry and spending a few days playing in the lake. When you clear the shelter of the island you’re in the middle of Lake Erie in otherwise open water, something you are unlikely to ever do on a PWC. The same goes with a small boat. 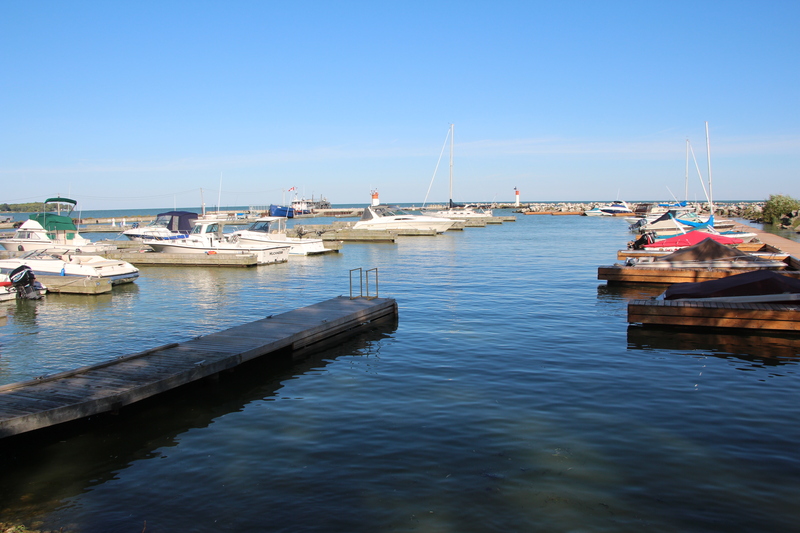 If the water is calm you can head for a short run east of the island and experience the “where is land” feeling bigger boats experience when crossing the Great Lakes or running off shore. And you can do it with the island always being close by and within sight to return quickly should the weather turn faster than a NASCAR driver. For those of us with cruisers, it’s a unique stop that’s worth checking out if you’re in western Lake Erie for a stopover or as a destination unto itself. You can spend a week or a weekend and find lots to do. Just don’t make the mistake I did, letting a decade pass by thinking you’ll go another day. The sign leading to Scudder Wharf Recreation area. The launch ramp at Scudder Marina. 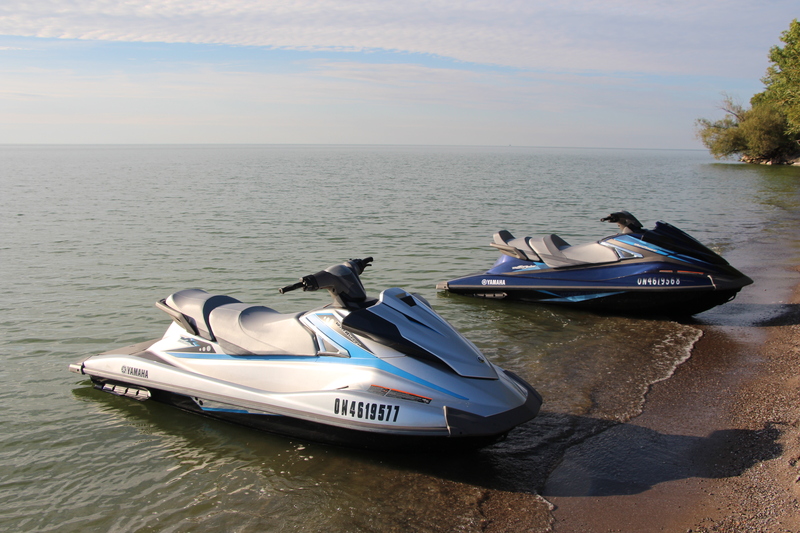 Yamaha WaveRunners beached on the western shore of the island. 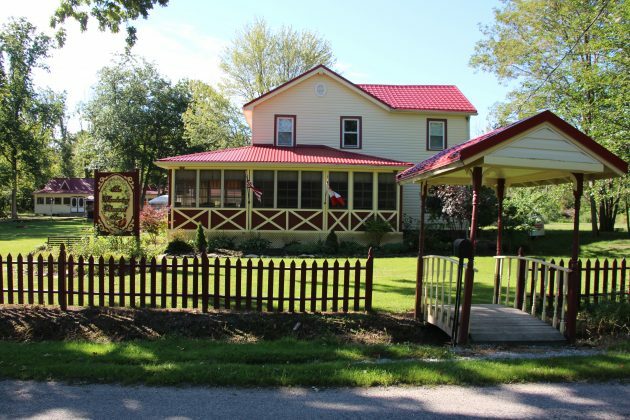 The Wandering Pheasant Inn is one of Pelee Island's oldest accomodations. 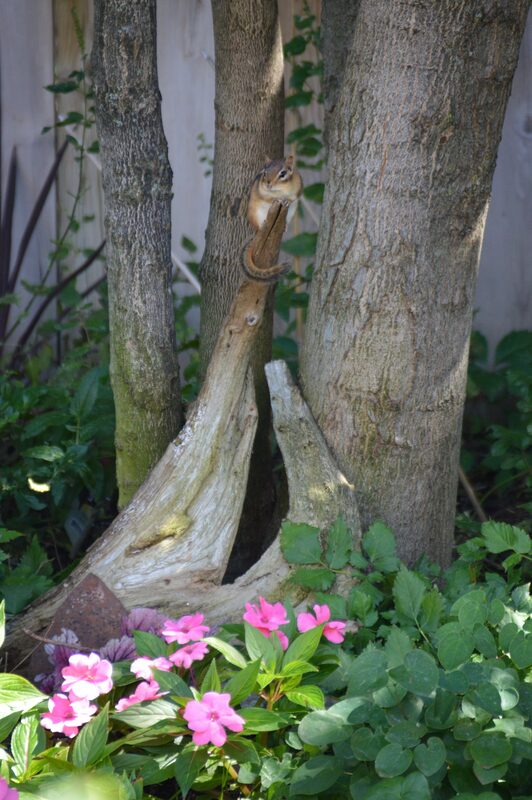 Wildlife is plentiful, like this chipmunk atop a fallen log. 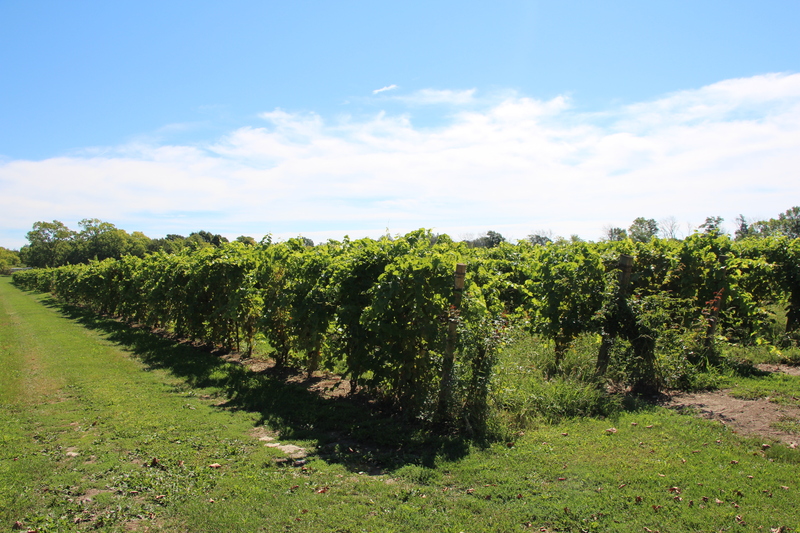 Grape vines thrive in the Carolinian climate at Pelee Island Winery.